Peoples are becoming more advanced by using the internet. Nowadays more and more advanced technology coming in the market. People are taking the help of internet as the major source to search any information. That is relevant & accurate to their given parameter. And this is the reason that has made people spend a lot of time on the web. But there are many negative traits & are also available with the increasing usage of internet. It includes fraudulent activities, cyber- attacks, personal data loss and many other activities apart from all of these. All these crimes have made the visitors prefer to visit only the safe websites. About which they are confident & feel secure to make transaction safely. For the protection purpose. An SSL certificate is expressly designed in a manner to make users feel safe & secure while using a website on the internet. Without SSL certificate, it would be very difficult to obtain the trust of the customers and keep their sensitive & secure data safely. It helps to keep the site secured and protect from many cyber crime. SSL certificate is helpful to protect all the sensitive data. Such as- credit cards information, username, passwords & etc. To keep the data safe between the two servers. It helps to increase your Google ranking. It s very helpful to enhance the trust of the customers. SSL stands for Secure Socket Layer. This is a standard layer technology which is used for security & to establish an encrypted link between your browser & the web server. The links safeguards your visitors that whatever data was passes between the two remain fundamental & it will also remain private & secure without having any unauthorized access on your site. SSL gives allowance to users that to encrypt any diplomatic data & communicate between the website and the visitors only. This is offered by many web hosting companies that SSL certificates ensures that users will be digitally connected by using a cryptographic key. With the use of SSL certificate there will be less & it will reduce the risk of any cyber crimes. Websites which are not using SSL certificates may have to face a possibly damage or destroy to their brand. With the help of SSL certificate customers can feel that the website is reliable and trustworthy. How SSL Certificate Helps To Protect Your Website? 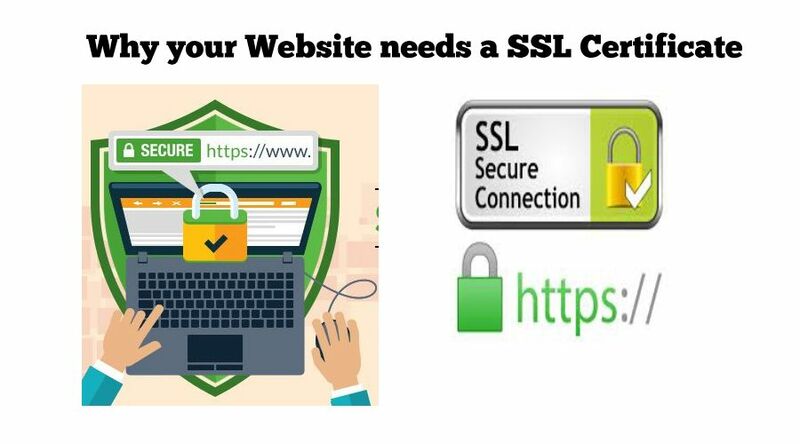 A website having a green padlock is the sign of SSL certificate & which was offered by the hosting service providers ensure that the website is safe for the use, this is protected from any cyber crimes. the green bar is a security signal. this shows that the visitors are secure from any attack. the transmittion information is safe. Trust plays the major role & in case of absence of security seal on your website its better to leave that site. it is definitely worth to seek an SSL certificate from your web hosting service provider. ← Renovation of google adwords !